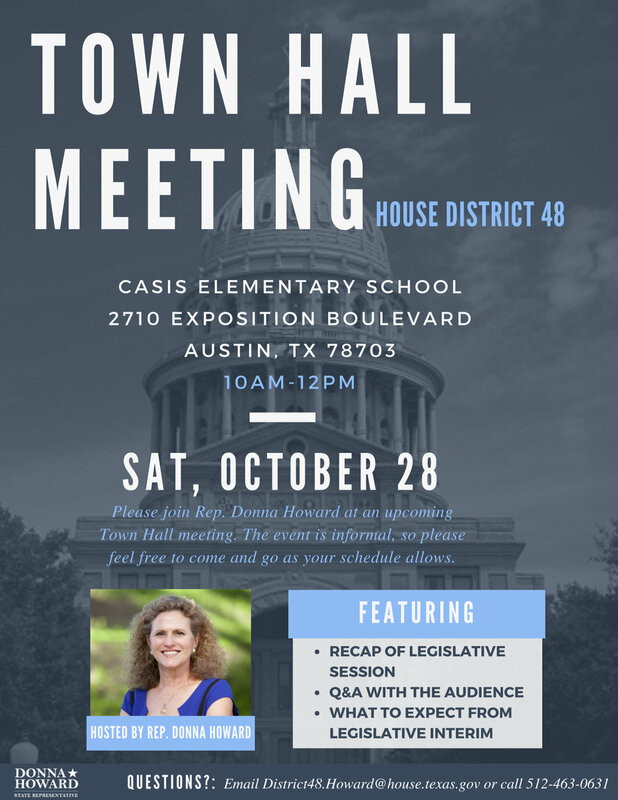 Please join Rep. Donna Howard for a House District 48 Town Hall on October 28th at Casis Elementary. She'll be providing a wrap-up of the recent Regular and Special Sessions, giving a preview of what to expect in the legislative interim, and answering questions from the audience. This will be the fourth and final in her series of October community meetings. At previous events, the topics of discussion have included women's health, redistricting, school finance, and other important issues. Come share your thoughts and concerns! You can RSVP for the Town Hall here. Older PostJoin Us For an HD 48 Town Hall Meeting!